Split between political occupation and exile, scattered across continents, languages, new professions and lifestyles, what common self can Tibetans muster today? 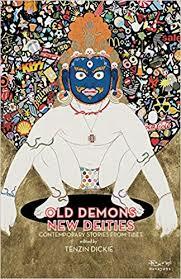 Old Demons New Deities: Contemporary Stories from Tibet explores this in depth. Categories: Navayana, Reference, Sociology and Anthropology. Tags: 9788189059828, Contemporary Tibetan stories, Navayana, Tibet. large no less than Tibet.